Can you? Yes! 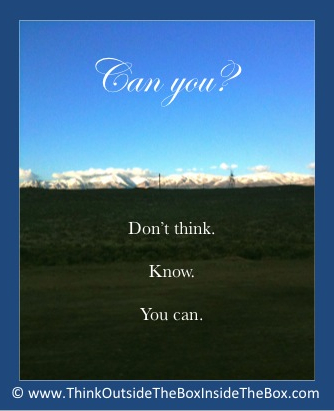 Don’t think you can. Know you can. You can create it—whatever it is.